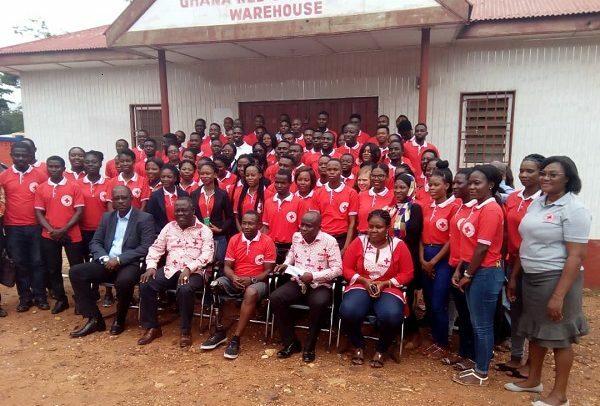 Famed cyclist, Emmanuel Ofosu Yeboah, has been unveiled as an Honorary Ambassador for Ghana Red Cross Society (GRCS) in a ceremony at its Shiashie Head Office, Accra. The Koforidua native, president of the Ghana Amputee Football League, has been tasked to spearhead a humanitarian initiative dubbed “Bring to Save a Life “. He is an activist for the disabled in the society and has won several awards both in sports and humanitarian projects. Ofosu Yeboah’s appointment as an Ambassador forms part of GRCS’s strategies to rebrand and improve its visibility across the country and hoped that, the new Honorary Ambassador will help management of GRCS achieve its strategic vision 2030 project. At the inauguration on Wednesday, president of GRCS, Dr Michael Agyekum Addo, blamed the organisation’s below average delivery in the rendering of its services to lack of funds. He explained that Ofosu Yeboah was selected for his achievements in humanitarian projects and the confidence he inspires regardless of his disability. Ofosu Yeboah said he was honoured to be appointed as the Ambassador of the ‘Bring To Save A Life’ campaign. Ghana Red Cross was established by an act of parliament and agencies in the delivery of humanitarian and emergency services to the vulnerable.